Everyone will know who the birthday VIP is when they're wearing one of these 40th Birthday Personalized T-Shirts. Our Sports Birthday Personalized Shirt is available on our premium white 100% cotton in adult sizes S-3XL and is machine washable. Also available in Ash Gray or Pink. 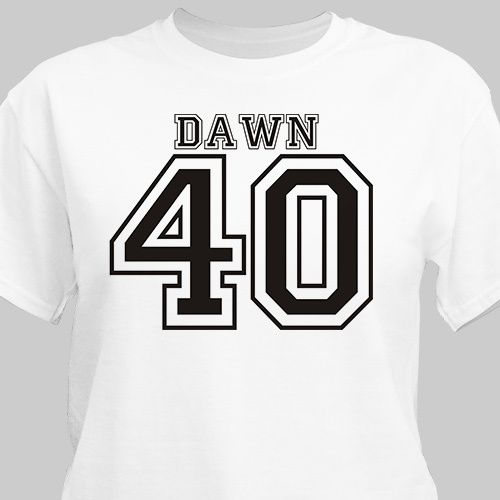 Personalize your Sports 40th Birthday T-Shirt with any age and any name. Select between 10 colors for printing. Came out great- my husband put it right on at his surprise 40th brunch!